Five years ago I decided to make a change for the better. My children were grown and my nest was slowly becoming empty. 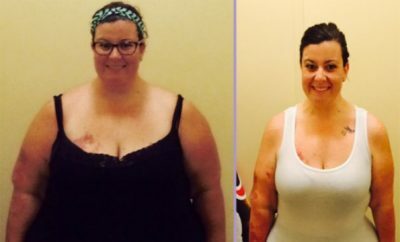 I tried diets that never really tackled the real issues I had with my addiction to food so I researched the potential advantages to Gastric Bypass. I prayed about such a drastic and permanent decision and did not take it lightly. I visited my doctor several times before I made a final decision to see a specialist concerning my struggle with weight loss. Once I met with a surgeon and knew that Gastric Bypass was something I wanted, I prayed and admit that I was not ready at the time. Three years later I woke up feeling old, tired, in pain and not wanting to live in the body I had created for myself so I made an appointment with the Gastroenterologist and began my quest for finding myself. Once I reached the weight he required me to lose on my own, I submitted my request to my health insurance. Come to find out that I was eligible for several reasons. At the time I was taking medication for high blood pressure, depression, GERD, heel spurs and I was predisposed to diabetes. On February 2, 2011, I went for surgery weighing 272 lbs. It was the best day of my life. The next 12 months were not easy. I endured a lot of physical, mental;, spiritual and emotional changes of which I am thankful today. The pounds started to come off but little did I know how much I had to change as an individual and how many things about myself I did not know. I began to change all over. I exercised everyday. I walked and not only did the pounds come off, but so much of who I was meant to be started to surface. Before the surgery, I could not do many things; things that I am so grateful for today such as sitting Indian style, painting my own toe-nails, swinging at the park, jumping, running up the stairs, showering without getting tired; so many wonderful things I sacrificed for the mere taste of junk food. I now work full time. My confidence level is at it’s all time high. I won’t deny that I lost a few so called friends, but have met many new and interesting and wonderful people. I love my job and more than anything, I enjoy living. Today I weigh 115 lbs. I went from a BMI of 52.3 to a BMI of 23.2. 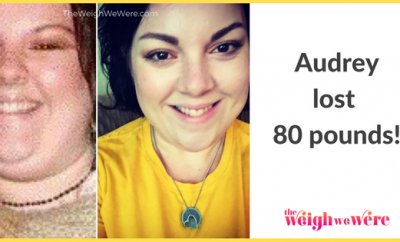 I lost a total of 157 lbs. I no longer take medicines for HBP, depression, GERD or heel spurs. I feel great and I am healthy. Among the changes I made for myself were to take charge of my life. I now pay closer attention to my health. I take vitamins regularly and best of all, I eat healthy and I no longer use food as a means of “feeling” good. I thank God everyday for answering my prayers to a healthier, wiser and new me. One of the advantages to all the weight loss was being able to shop for clothing and actually getting what I liked as opposed to what ever was available in my size. I am no longer embarrassed to eat out. I am no longer tired of just waking up. I save money by not buying junk food and it was all thanks to my doctors and my family who supported me through this journey. My confidence is so positive now that I even got a promotion on my job. The overwhelming feeling in my heart today is that nothing is impossible when you set your mind to doing what is best for you rather than what is best for everyone else. Beside the quirks of shopping for clothes, I now have a brand new taste pallet. I’m discovering foods that I would never have otherwise even tasted. Foods that were not introduced to me growing up but that I enjoy today and are very good for me. Portion is the key but change of habit is another. Change of heart and change of mind and spirit plays a key role in accepting the new me and enjoying every minute of where I am today on the way to where I am going. I would recommend this surgery to anyone who has prayed about it, researched it and anyone who has secured the support of family and friends. It is not a decision you make overnight. It is a life changing experience in more ways than one. You don’t only change who you look like in the mirror, but you also change in the eyes of those who knew you as morbidly obese. Some of the people I surrounded myself with were not comfortable with the change in my appearance. They literally saw me as someone else although I reminded them several times that my heart is still the same. I am still me only healthier and much happier. I am productive rather than dependent. I am confident rather than depressed. I am active rather than tired. I am healthy rather than sick. 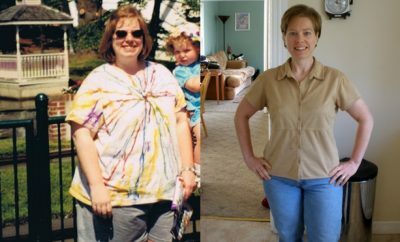 I have only one regret….. that I did not have Gastric Bypass sooner in my life when my children were still of school age. I feel like I deprived them and myself of many activities in school, church and in the everyday life simply because I did not like myself or feel physically capable of participating in daily activities that they enjoyed. I am so happy with myself and thankful to those who have encouraged me and lifted me up. I finally found myself and I love “me”.